About the show: A young woman waiting for her own judgment in the bureaucratic system of the afterlife finds herself in the role of judge and jury to determine the fate of the man responsible for her death. 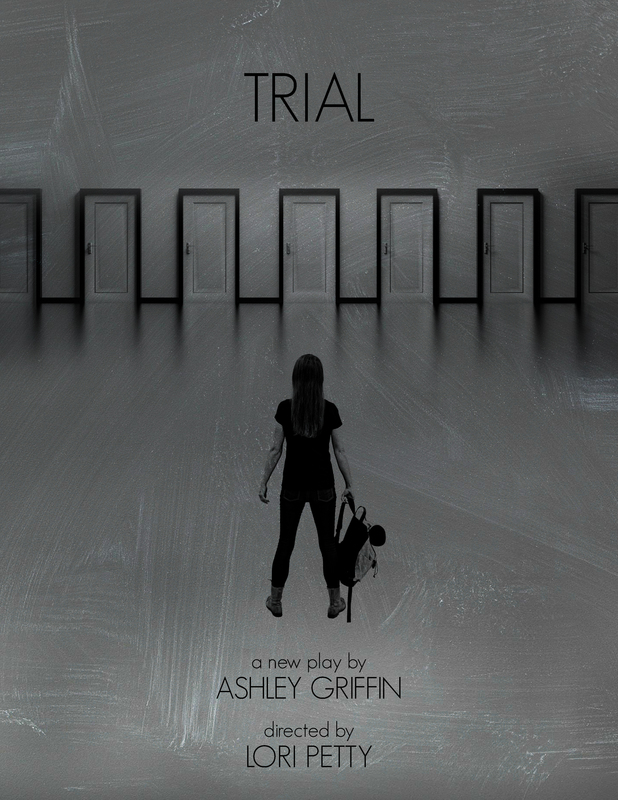 An intimately difficult yet moving play, Trial questions the morality of justice versus mercy. TRIAL performs in the intimate Beckmann Theater at the American Theatre of Actors, located at 314 West 54th Street, (between 8th and 9th ave) on the 2nd Floor, New York, NY. Tickets are General Admission. Limited standing room tickets are available at the door when there is a full house. The theater is handicap accessible, and the theater is accessible by elevator. After her breakout starring role in POINT BREAK, Lori Petty quickly achieved celebrity status in Hollywood starring in A LEAGUE OF THEIR OWN, TANK GIRL and others. Most recently she has become the fan favorite star of ORANGE IS THE NEW BLACK and GOTHAM. Lori made her directorial debut with the feature film THE POKER HOUSE (Jennifer Lawrence’s first film) which Lori co-wrote. Ashley Griffin is most well known as the creator of the pop culture phenomenon FOREVER DEADWARD: THE VAMPIRE MUSICAL PARODY. A performer and writer, Ashley has appeared on and off-Broadway, as well as in T.V. and film in New York, L.A., London, and Chicago. As a writer, Ashley’s work has been performed off-Broadway—most recently at New World Stages, as well as in L.A. and Chicago, and developed at Broadway’s Manhattan Theatre Club and Playwrights Horizons. Ashley has taught at NYU, and is a member of AEA & the Dramatists Guild.